Enhance the flavour of your cooking with Greek Oregano. A tasty and nutrient-dense Mediterranean herb that works particularly well with Greek and Italian food. Greek Oregano is a super-food high in Vitamin K and fibre, with excellent anti-bacterial and anti-inflammatory properties. The best way to cook with this herb is FRESH! Instead of buying from the supermarket every week - and not knowing what chemicals have been used on your food - why not grow your own? 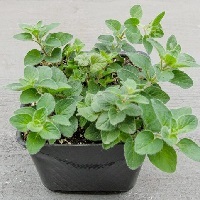 Greek Oregano is a perennial herb and will grow well in a pot for years. You can grow indoors or out and trim regularly for a mostly year-round supply of herbs. The plants slow down in winter but the rest of the year provide a plentiful supply of leaves for cooking. 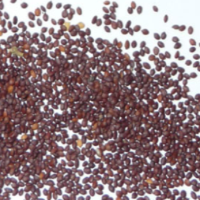 Sow seeds anytime of year, with spring to autumn the easiest. 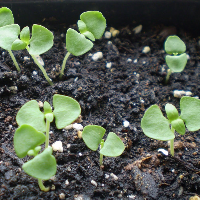 Sow in a tray or small pots of compost and transplant the seedlings into bigger pots when the first true leaves have grown. When the plant reaches about 5cm, pinch out the growing tip to encourage a bushy habit. Let plants grow to about 15cm in height before you start to harvest the leaves. Then use as needed. Trim the top half to two thirds of each stalk for cooking and more leaves will grow. Only cut up to a third of the plant at any one time to allow it to recover! If you keep this plant indoors make sure it has good light, such as a south or west facing windowsill. Keep the soil lightly moist and fertilise regularly (eg once a month) with a nitrogen based product that promotes leaf growth. The plants prefer to be outdoors in spring and summer, but it is not essential. 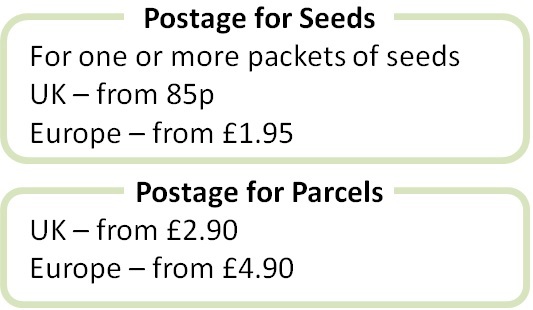 More information here on buying, sowing and growing Greek Oregano from seed.